These days many small companies operate on cell phones or use VOIP (Voice over IP) phones. It is a great way to save money and get lots of features. With AgentNow you don’t have to chose one or the other. AGENT NOW can connect to your VOIP phones. cellphones or use our web interface. Agents can easily switch from a HARDLEINE unit at their desk. Then switch to their CELLPHONE with a click of a button. AgentNow provides global voice connectivity for agent SIP phones in the main office, remote office locations and home offices. 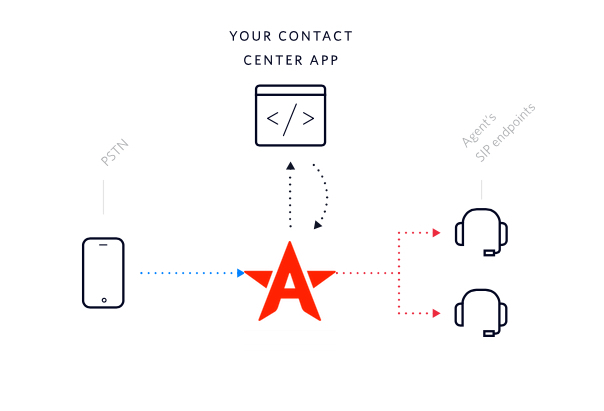 The AgentNow Voice API gives you the control to customize call routing and create software integrations for logging details of every call screen. Connect SIP-enabled desk phones, browser clients, mobile softphones and even personal cell phones into your own global phone system. 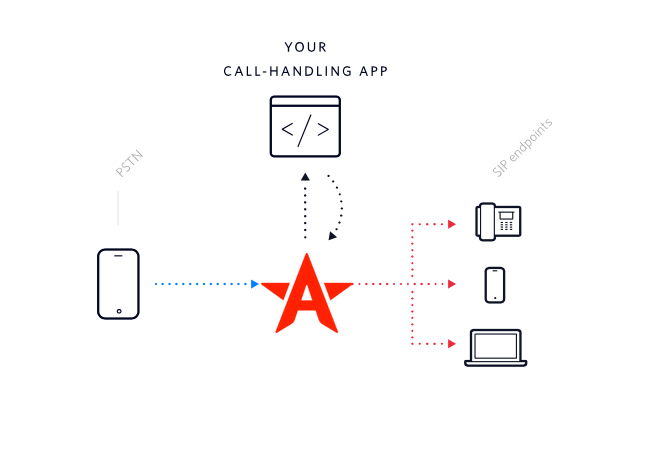 The Voice API let’s you buy business phone numbers in more than 50 countries and customize call handling logic like a phone tree, time-based routing, and ringing sequences. AgentNow allows business owners to build a VoIP service with local phone numbers and choice of end-user device: hardphone, softphone, or browser client. The AgentNow usage-based pricing model gives you the flexibility to start small and grow. You never have to buy or manage telephony infrastructure or pay per-user licenses. With the introduction of AgentNow SIP Registration, our customers can easily deploy SIP extensions to their contact center agents, leveraging a broad range of both hardphones and softphones on the market. Each Agent can change where their phone is routed. With a simple click of the dashboard the phone can be changed from an SIP ENDPOINT (a VOIP phone) to their cellphone or landline. It’s free to register your SIP-enabled phones and clients. Pay only for the calls you make and receive. Extend the same dashboard you setup once to new offices and markets with configurable features for localization and compliance. Get to market faster with AgentNow pay-as-you-go pricing, free support, and the freedom to scale up or down without contracts. Get tons of features at the base price of $7 or $12 per month. Then add only what you need for phone minutes, big email campaigns and sms messages buy adding credits the you need them. And your credits NEVER expire until you use them.